I love running. There is something elegantly simple about it. You can do it almost anywhere and with very little equipment. And it's something that we, as humans, have evolved to do over hundreds of thousands of years. But what does running have to do with strategy? At least four things, I think. Despite its elegant simplicity (left foot, right foot, repeat...) there is an almost infinite variety of different ways in which people approach running. One only has to look at the number of books written on the subject to see this. Training for and running a 5km race is very different to training for and running a 100 mile race. Road races are different to trail races (as well as all manner of 'adventure' races). And there is running form, cadence, a seeming infinite variety of different types of training runs, cross-training, hydration, nutrition (both in general and while running), warm up and recovery, dealing with injuries, mental preparation, race tactics, etc., to consider. Study and understand the what makes a great runner - see running form cadence, etc. listed above. Understand your own strengths and weaknesses, both physically and mentally. Have clear goals of what kind of runner you want to be: what distances you want to run and on what type of terrain; how competitive versus social you want to be. Focus is essential. Understand your circumstances relative to those goals, such as other time commitments, access to the type of terrain you want to run and other such resources. Develop a clear plan of how you intend to achieve your goals, taking your existing strengths and weaknesses into account. Execute that plan with discipline and diligence: even when its cold and wet out; adapting around all the other distractions of life that inevitably intervene from time to time. Track your progress and adjust your plans as you go: nothing ever goes exactly to plan. I started running relatively late in life. At the time, I could barely run 2km without collapsing in a puffing and panting heap. All I wanted to do was get a little fit. However, as I gained a basic level of fitness, I started to think about running more strategically (as I eventually do with most things in life!) Eventually, a few short years later, I ended up running a 50 mile trail ultra-marathon. Running, particularly longer distances, gives you lots of time to think. There is something meditative in the simple and repetitive motion of running. It clears your head. Some runner like to use headphones and music to pass the time while running, but I usually avoid this, preferring just to be present in the activity. I've done some of my best thinking while running. Being unable to take notes or start acting on my thoughts immediately, leaves me free to think more deeply than I otherwise might. And of course, after a run, I come back to the world with a clearer head, more ready than before to tackle whatever the day demands. When that happens, it is useful to have a way to step back from the problem, to change your mode of thinking, and to give yourself enough space to see things differently. Sometimes, the simple act of going for a walk around the block is enough. Other times you need something more. And with most things in life, practice makes perfect. No strategy is ever plain sailing. As Machiavelli said "It must be considered that there is nothing more difficult to carry out nor more doubtful of success nor more dangerous to handle than to initiate a new order of things." Executing strategy takes hard work and often long hours in often emotionally charged circumstances. Let's face it - it can be draining at times. Long distances running teaches you to remain focused up to and beyond the point of total exhaustion. Let's face it: things don't always go according to plan. No matter how well you prepare, things still go wrong on a run. Anything from bad weather, to a dodgy prawn the night before, to blisters, chafing or other injuries, to getting lost on the trail, can threaten your run. 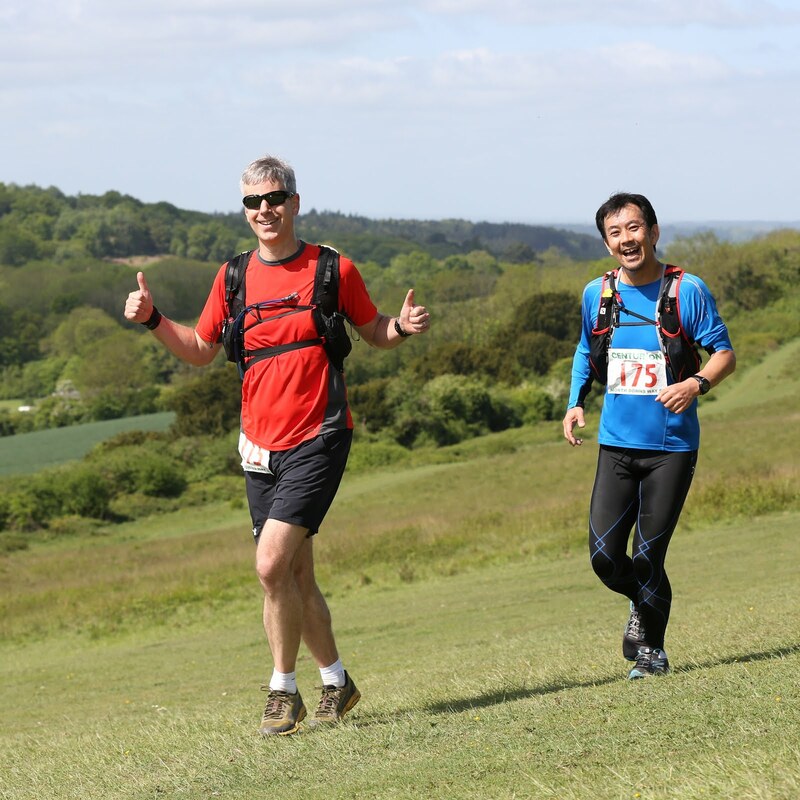 With experience and foresight, you can anticipate, avoid and many issues: carry a waterproof jacket and mobile phone case, eat only tried and tested safe meals leading up to a race, wear twin-skin socks, and carry a map, for example. Other times, you have no choice but to bail out of a run early, which can be heartbreaking it its a race for which you've spent months preparing! Training, as well, may not go according to plan: work and family commitments, illness, etc. can call get in the way. They key, in running as in business, is preparation, anticipation AND flexibility. Bake those into your plans, not as an afterthought AFTER things don't go according to plan. 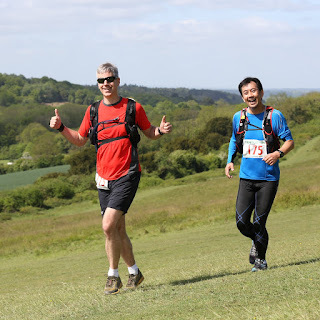 Asides from the physical pleasure you get from pushing your body beyond its limits, and the satisfaction you get from achieving things you couldn't do before, there is a joy in just being outside and on the trails. You get the best views, I believe, by running to the top of the hill. I've seen some spectacular sights when out running. I've observed the changing seasons in the forest more keenly than I otherwise would have. They say its important to stop and smell the flowers from time to time, and running affords me a unique opportunity to do so. Of course there have been early morning training runs, when its cold, dark and wet outside, when I've had to remind myself that I enjoy running. But at the end of the day, I know I'd never have kept it up if I didn't enjoy it as an activity in itself and because of the sense of achievement I've gotten from it. And I think it is the same with business strategy also. As noted above, it can be physically and mentally draining. If you don't enjoy the process, and if you aren't intrinsically motivated by what you're trying to achieve, it will be hard, if not impossible, to keep performing at your best. So whatever business you're in, and whatever strategy you're pursuing, make sure it is something that brings you some joy. And in the difficult times - for they will come - make an effort to keep some fun in the process. I am no running coach, but I am a strategy consultant. For a confidential conversation about how I could help your business, please contact me.